Bihar Public Service Commission (BPSC) is going to conduct written test for the posts of Assistant Forest Conservator (Sahayak Van Sanrakshak). 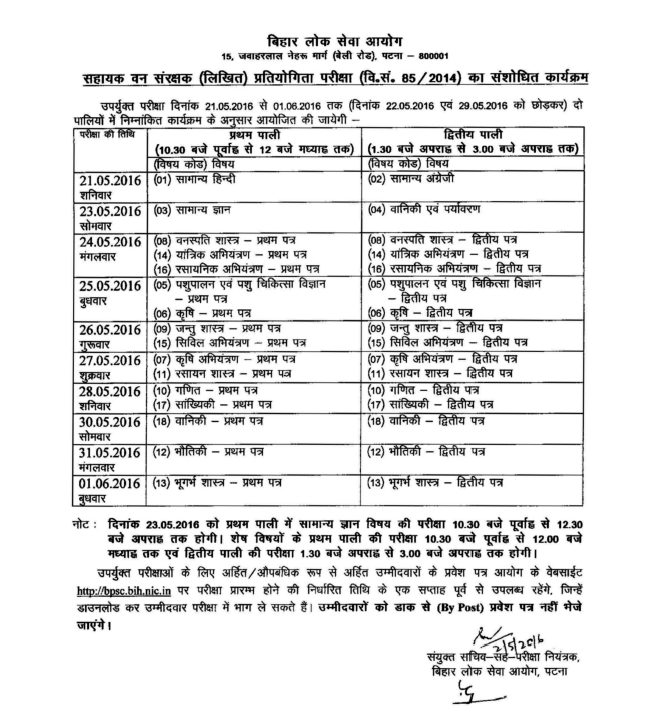 The written exam dates had been announced. The test is scheduled to be held from 21 May to 01 June 2016 (except Sunday). Earlier BPSC had completed the process of getting applications. For appearing in this test, aspirants have to download the admit card from here. The Admit card of BPSC Sahayak Van Sanrakshak had been released on 13 May 2016. Those candidates who had applied, can download BPSC Sahayak Van Sanrakshak Exam Admit card from the direct link given below. Bihar PSC is going to conduct written exam from 21 May to 01 June 2016 for Sahayak Van Sanrakshak posts. For that, admit card are available now. A total of 1709 candidates are going to appear for this examination. Candidates have to download BPSC Sahayak Van Sanrakshak admit cards from the official website bpsc.bih.nic.in via the direct link given below. The test will be held at various centres and in two sessions i.e. morning and evening. All the important details like exam venue, roll number, date and time etc. had been mentioned in them. 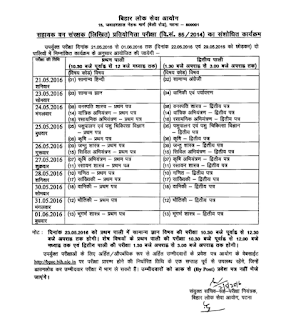 Earlier Bihar Public Service Commission had invited applications for Sahayak Van Sanrakshak posts. The candidates can download their admit card from BPSC website from here. The admit card should be printed on a paper and bring at the time of examination. No admit card is going to be sent by post. They will be avialable online and you have to download them one week prior to the exam date mentioned here. In order to download the admit card for BPSC Sahayak Van Sanrakshak exam, candidates need to visit the direct link above. Then candidates need to enter their 6 digit roll no. and click submit. Their BPSC Sahayak Van Sanrakshak Admit card 2016 will pop up and you have to take a print.